The Bangles Song "Manic Monday" was written by Prince (under a pseudonym). Paul McCartney played the bass guitar and drums on the second Steve Miller Band album. Boz Scaggs was an original member of the Steve Miller Band. The Neil Sedaka song "Oh Carol" was written about/for song writer Carole King. Frida from ABBA sings the female part in the Adam Ant song "Strip". Mick Jagger is not the person being referenced in the Carly Simon song "You're So Vain"; why? because he is the male singing the chorus with Simon (listen carefully to the chorus...especially the second and third times where his voice is louder in the mix). Elton John is Sean Lennon's godfather. The working title of the Beatles song "Yesterday" was "Scrambled Eggs". Duane Allman plays co-lead guitar on the Derek and the Domino's song "Layla"; his part is the higher of the two guitar sounds; Eric Clapton plays the lower guitar part. Paul McCartney has played all of the instruments (including bass, guitar, piano, keyboards and drums) on two of his solo albums. Frank Sinatra's once called "Something" by the Beatles one of the most beautiful songs on the 20the century. 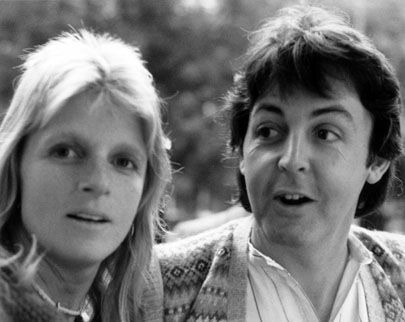 Despite being a professional photographer, Paul McCartney's late wife Linda Eastman was not related to the family that founded Eastman Kodak; her father Lee Eastman was a attorney who specialized in entertainment law. The ABBA song "Super Trouper" is named after a spot-light used in show business. Geddy Lee from Rush is actually named "Gary"; "Geddy" came from the fact that his Yiddish mother had trouble pronouncing "Gary", and when she did it ended up sounding like "Geddy", which he adopted as his stage-name. The Who's song "Substitute" was partially inspired the the song "Tracks of My Tears" by Smokey Robinson and the Miracles. The outstanding piano introduction to the song "Bridge Over Troubled Waters" by Simon and Garfunkel was arranged and played by Larry Knetchel, who would later on be a member of the soft-rock group Bread. Another member of Bread, (the late) James Griffin, won an Oscar for co-writing the son "For All We Know" (best song, 1970).